We Create Exceptional, Premium Animated Explainer Videos. Our Explainer Videos help your customers understand your company, product, service, idea or app in 1 – 2 minutes. Our 2D animated explainer videos gives businesses from startups to corporations a creative, fun medium to tell their story. What are explainer videos and why should you be using them? Explainer videos, often called landing page videos or video landing page, are short 1 to 2 minute online videos explaining a company product, service or idea. Perhaps you’re wondering why you should get an explanation video for your website, Youtube or Facebook? We all have short Attention spans. People visiting a website are much more likely to watch an interesting and exciting video rather than reading pages on a website. People don’t read, they want to watch “How to” , “How do I do it” , “Why should I care” videos. Explainer videos are most useful when a potential client is looking at optional solutions for their problem. Animated Explanation Video or Explainer videos are a powerful communication tool. They are great for explaining an innovative idea or an complex business problem. 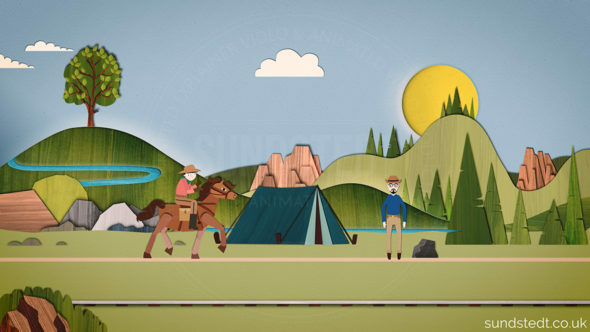 Sundstedt Animation is currently ranked 1st in Listly’s 55+ Top Explanation Video Animation Production Companies in The World, April 24th, 2019. We also have 100% Satisfied Clients. 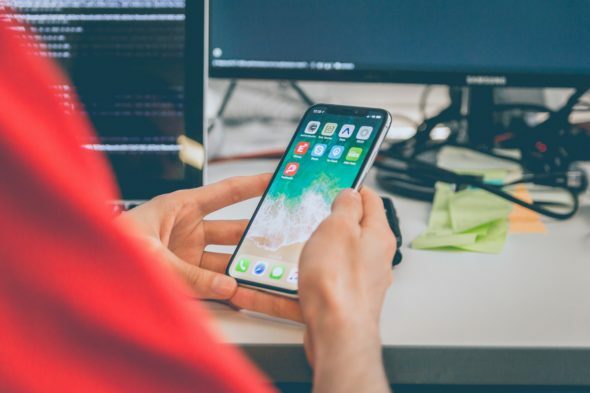 Explanations (often known as homepage video) answer the question “why?” and animated video on your website can also show that you are up to date with current trends and that you are tech-savvy. You need your viewers to understand your business and you want to make sure the video captures your brand in an entertaining way. Good videos that are worth sharing gets shared! Our animated videos have been officially selected, semi-finalist, finalist and winner in 34 film festivals 2017-2019. Video has skyrocketed in popularity over the last few years and are increasingly becoming the way people prefer to learn & be informed. We know animated explainer video has the power to educate your customers, promote your services, your products, your brand, and much more. Has your company got one yet? Contact us to get a free quote for your explainer video here. People are more likely to trust the information you present and take it seriously if presented in the format of for example a high-quality, well-produced, short and engaging business promo video or explainer video. So make it simple! Have you got a complex product, service or idea? You really need to be able to explain it in only seconds. For this, creating animated explainer videos are the best way to simplify complex things. 100 Years in Marketing animated explainer video. Professional Explainer Video Production Glasgow, Scotland. 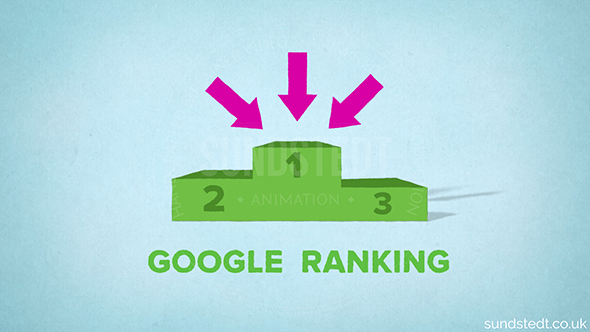 An increasing number of marketers are turning to animated video for business promotion. 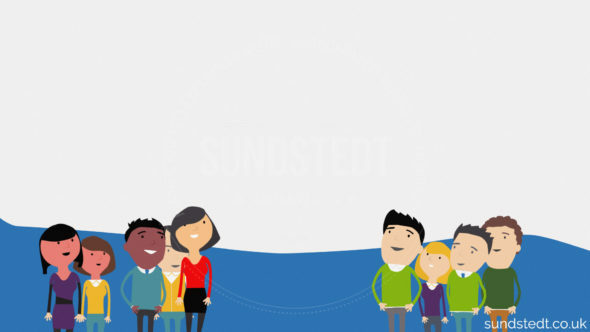 Sundstedt Animation is an independent, award-winning video production company, explainer video creators, pioneers in creating animated explainer videos for cool startups, companies, and organizations since 2010. Powerful marketing messages about your products and services: our animated videos tell stories that sparkle for happy clients worldwide. We offer a range of animated video production services. We put passion and dedication to producing creative animated videos. We aim for bolder, 60-120 second animations with premium quality that you will find on this website and a competitive price. 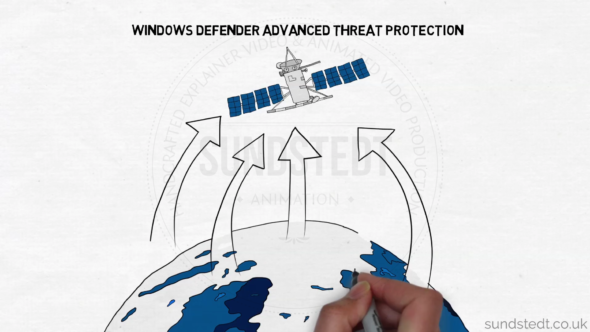 With the right blend of animation and graphics, we can make your video look awesome. We make 100% custom explainer videos with custom artwork: We don’t pin ourselves down to specific styles and our own styles are unique. Explainer videos help to create a bond between your brand and your audience. Hit your customers between the eyes with a premium explainer video with originality, flair and beauty. Our own 2D animated cartoon explainer video styles can be seen in our impressive portfolio, but if you are looking for something a little less “cute” and more “corporate” infographics, you do not have to look elsewhere because we have a lot of experience of those as well. We offer inspiring promotional videos to engage your clients, so simply get in touch with details about your idea for a video today and we can provide both a free quote and consultation. You can use the contact form, email, phone or web chat to discuss your project. Fixed project prices, dedicated video director/animator. Trusted to make videos for Microsoft, Pfizer, International Diabetes Federation and Glasgow City Council. Need to explain your product or service in a smart, 1-minute video? We make images, we make stories, we make short animated films. Just let us know what you are looking for, using this Start your project form, where you can specify things like your budget, timeframe and what kind of video you are looking for – using our explainer video animation services, you can use it forever! But remember that low-quality videos are never a good investment, so don’t go for cheap videos when you are looking for a video production studio. A lot of people are really impressed by our videos when they watch them, we get a lot of emails from visitors and clients who tell us how impressed they are, what great work we do and how nice and wonderful our videos are. We are also frequently working with agencies to create animations for big companies, from Microsoft to Pfizer. Please feel free to contact us for testimonials and sample projects. We love to have a chat about explainer video animation and we do explainer video online free quotes custom made based on your video requirements such as the video length. Animated explainer video for – Duraflor. As an explainer store of animated explainer videos (often known as overview video or video landing page), we create all our explainer videos from scratch, doing all the artwork and animation and directing using a mixture of traditional pencil drawing and carefully crafted computer animation. This is also why our handcrafted explainer video prices are very competitive: there is no middleman, you hire us directly to produce the video for you. It’s one of the many things what makes us different and better, and we don’t use an explainer video template. The result is a professional explainer video quality made in animated video software in full 1080p HD. We also include free embedding code to simply put the video on your website. You also get links to downloading the original full quality video file and other bonus video sizes and formats. A biotech company animated explainer video: – Milo Biotechnology. We take care of every aspect of animated video production. We offer some of our video services in 4K. We now offer 4K (2160p) explainer video service as an option to 1080p (HD). Many televisions now are capable of displaying 4K resolutions and are seen by consumer electronics companies as the next trigger for an upgrade cycle due to a lack of consumer interest in 3D television. YouTube has now got 4K available as a Quality Setting, so it now makes sense to start offering 4K as an option to 1080p for our animated explainer video, demo video, and corporate video services. So far 1080p is normally enough though, for most clients and viewers, as broadband speed needs to be very high to stream 4K videos. 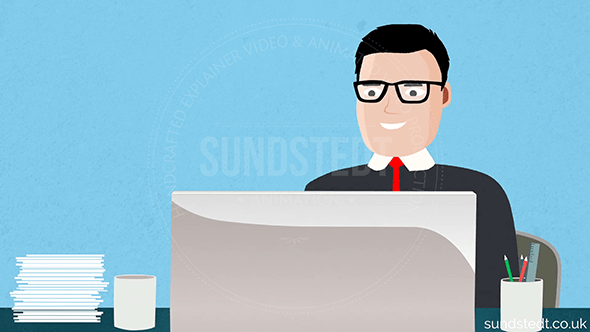 So if you want a bespoke, custom made handcrafted animated corporate explainer video, the place to get one is at Sundstedt Animation. For now, the 4K explainer video can still be overkill and most clients will only need 1080p HD Quality Video. 4K is optional and will come at a premium price. Because it takes longer to process, render and since we work with handcrafted illustrations and artwork for our unique videos, all assets need to be created on a much larger scale to allow for producing 4K animations. Increase Engagement Amongst Your Target Audience With Explainer Videos. Do you need help getting noticed? Do you need your new clients to understand how your company, service, product, system or idea works? Create an explainer video! Explainer videos are used on homepages, landing pages, service pages, sales meetings, product pages and tradeshows. Animation and motion graphics can be developed as a campaign video, marketing video or explainer video. 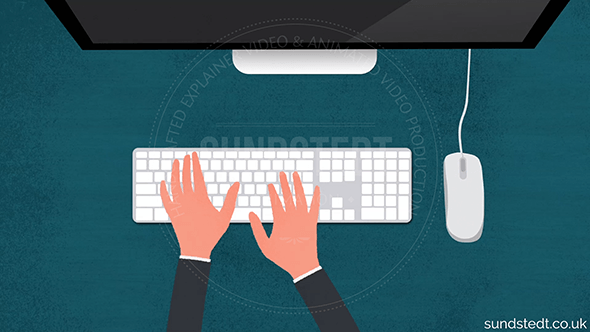 Set up a free consultation today with Sundstedt Animation, a small, friendly & personal explainer video production company. Kissmetrics found: Viewers are anywhere from 64-85% more likely to buy after watching a product video. Another study by the Wharton Research Centre discovered that the average person retains only 10% of what they hear, while an impressive 50% of what they see! Weather your animated video is educational, entertainment, ethical, biotech, science outreach or non-profit, we provide an easy, friendly and reliable service for creating an explainer video (often known as conversion video) that explains stuff better. So don’t spend a fortune buying your video from a big explainer video company, instead work directly with us for the most personal service available. We use the best video explainer techniques and animation software to make bespoke & personal design, but no kits, themes, templates or stock. For any questions, have a look at the FAQ page and just contact us with any other questions you may have, we will respond in 24 hours or less! Are you intrigued? For a free consultation, more information or a chat about your video project, please use the contact form or call 07531.800.711 We look forward to discussing your project. We are one of the best explainer video companies and we truly want to help your brand win hearts. Let’s make videos together! A Long-Lasting Explainer Video Sample: ‘Social Treating’ – Givvit. Head of Music Licensing at Sky & Founder of the startup @givvitapp. Read the Givvit Explainer Video Case Study. One of the differences between the way we work as a small business and big explainer video or whiteboard video production companies is that just take on a few clients at the same time so we can focus all the attention on your animated video project. Don’t forget to check out our explainer video examples in our new portfolio page that we update frequently with some of our latest and best work in business explainer videos and videoscribes and motion graphics. We would love to make an explainer video for you and your company. Note: We also do whiteboard videos using our own handcrafted artwork and the latest whiteboard explainer software and techniques. Co-founder / CCO + CTO på The Content Family AB. Hired us to do a series of whiteboard videos for Microsoft. Chat with us live on this website during office hours, direct expert call or email us now. Why should I get an explainer video?